I'd like to go back and have a moment with August-2014-Nicole...you know the one who was like a Disney princess blissfully believing that my pumpkin of a kitchen would magically turn into the sparkly, pretty carriage by Christmas. Because, people, this DIY kitchen renovation has been no joke. We've had quite a few discussions during these last few months, but I really feel like we learning how to be better teammates (rather than competitors). Because, really, when I think back--I think we often have butted heads because we work so differently. In a process like a kitchen renovation (that has been 90% DIY projects), it's good that we work differently. I think we may be finally catching on that if we use that well, it's helpful. But we don't, it's fodder for lots of frustration and annoyance with one another. Even though this experience of fixing up our kitchen hasn't been all flowers and elevator music, I am so thankful that we've done it. In the end (yes, we are finally finally at the end! ), I think that it's not only improved our home, but improved our marriage. Since I last shared about the kitchen, we've done quite a bit. I shared a bit here and here. 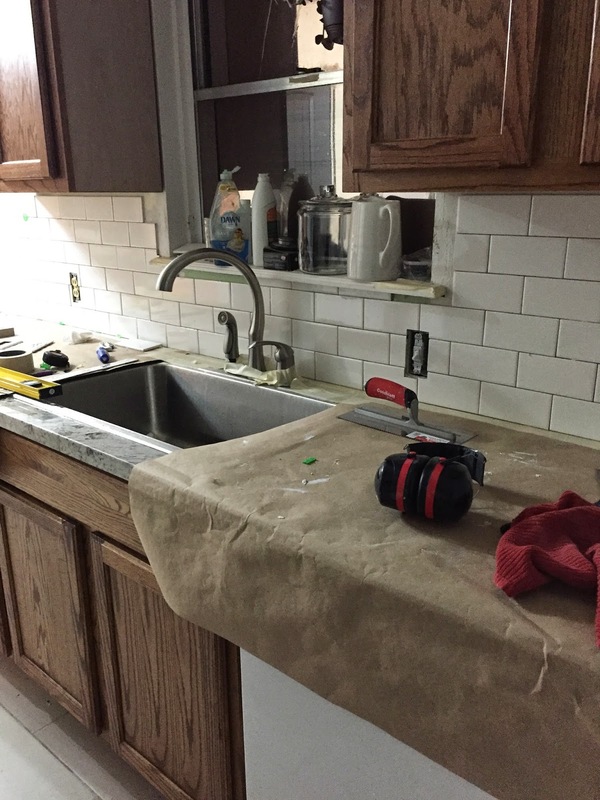 Since then, we have installed floors, cabinets, upper cabinets up (on one side), countertops (believe me, after almost 6 months without them, I was SO thankful to get them installed), and the subway tile is going in this week. Our list is still super long, but it's mostly small stuff (which of course is the stuff that gets put off), but we are seeing the end. I absolutely can't wait to show you the end result along with all the info about our materials, choices, etc. 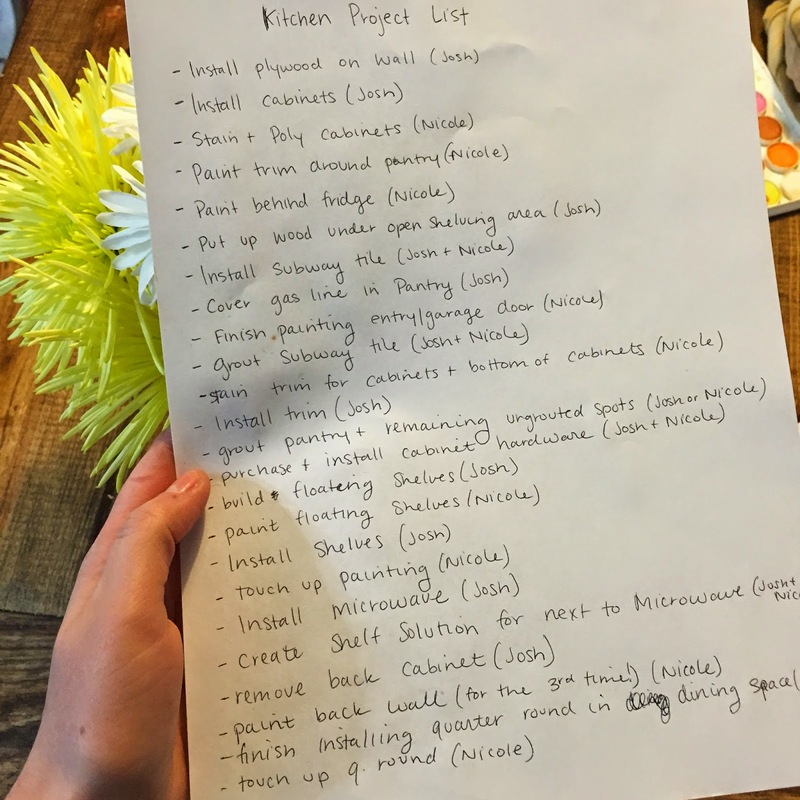 The blog post will probably be titled: How to Renovate Your Kitchen without Knowing Anything while you Entertain a Toddler, Cook entirely out of Crockpot, and Use your Refrigerator at a Focal Point in Your Living Room. 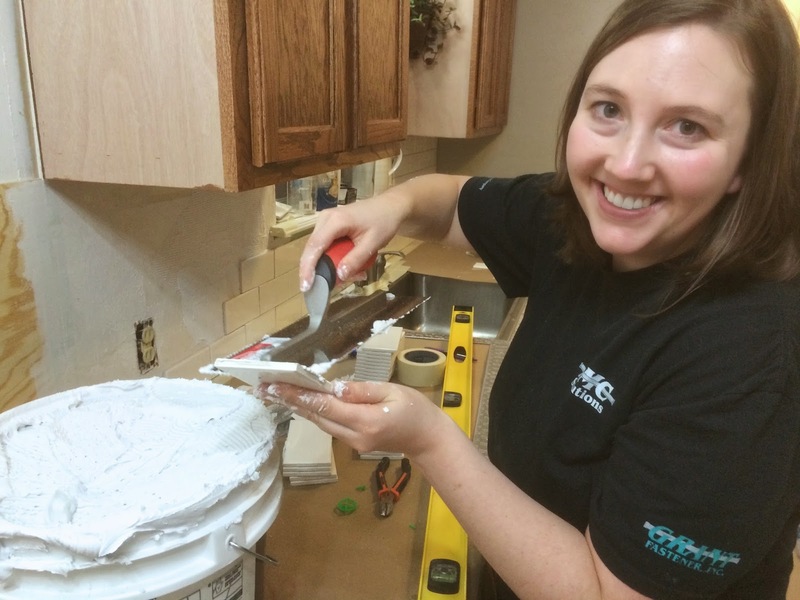 And the third installment: The Importance of Praying before Projects: How An Engineer and Bossypants Completed a Kitchen Renovation.